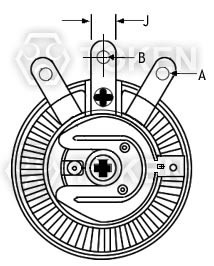 Easy Way To Vary The Resistance in a circuit is to use Token Rheostat (FVR). 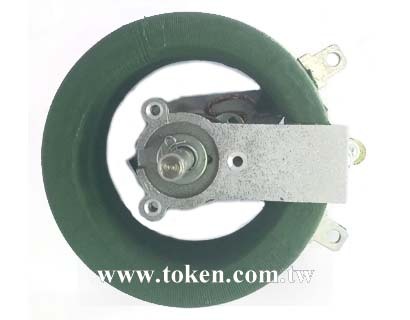 Token's (FVR) Series is a C-shaped ceramic rod and wound with copper or chromium-alloy wire as a resistance element. Except for the slide contact surface, the entire component is coated with a high-temperature, non-flammable resin. After cooling and drying, insulation is applied through a high-temperature process. 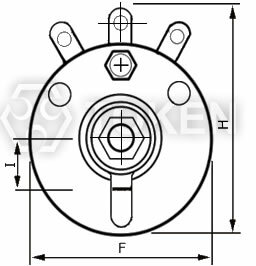 Then, a centered rotating adjuster component is installed, which slides along the resistance element and varies the resistance to the desired value. 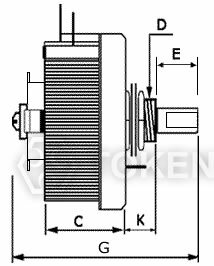 Adjustable wirewound resistors are often called potentiometers in books and catalogues. 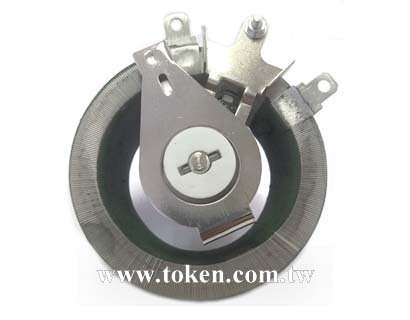 Variable (FVR) may be used as a power rheostat with two connections (the wiper and just one end of the track) or as a potentiometer with all three connections in use. FVR can be used to control electric ovens and cooktops, thermostats are preferred because they have additional parts which automatically adjust the current flow to maintain a constant temperature. 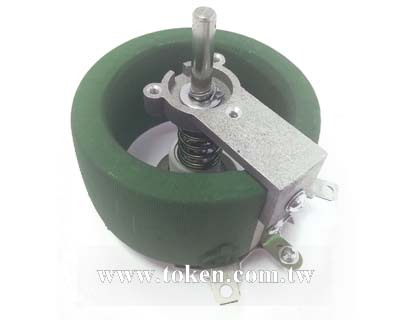 Motor controller also use FVR Series as rheostats or potentiometer to control the speed of a motor by limiting the flow of current through them. The scope of the application also includes educational modeling, load simulations, industrial machinery RPM adjustment, voltage and current adjustment, instruments, and automated control installations. The FVR Series is RoHS compliant and lead free. For non-standard technical requirements and custom special applications, please contact us. Downloads Complete Specification in PDF C-Shaped Rheostat Power Variable Resistor (FVR). Wide Max. Resistance range: 5Ω ~ 5KΩ. Standard resistance tolerance is K(±10%). Closer tolerances are available upon request. 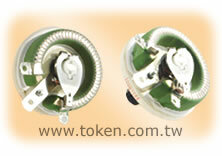 3 Wattage Rating styles to choose: 25W, 50W, and 100W. Motor controller, blenders, mixers, fans, and power tools. FVR Rheostats Series are also used as test instruments to provide an accurate resistance value. at one of FVR, DQS, DSRA, DSRB, BSR, BSQ VR (Variable Resistor) type. 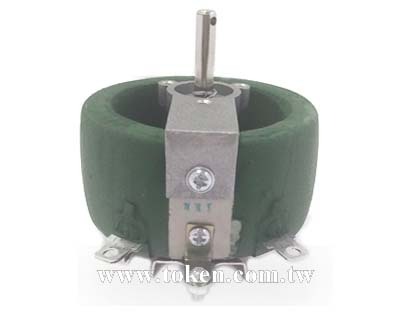 by depending on resistance of wire and wirewound type. Product type means one of FVR, DQS, DSRA, DSRB, BSR, BSQ. Rated Wattage means power rating at End Resistance Value. Resistance Value (Ω) means maximum resistance value (End Resistance Value). Resistance Tolerance means precision range of End Resistance Value. 1. Power Rating of VR (Variable Resistor) is determined by the maximum resistance value (End Resistance Value). 2. Resistance and Power Rating should be decreased while you are adjusting the screw. Adjustability is 10% to 90% of full resistance value. Wattage is proportional to this adjusted resistance value. Based on 25°C free air rating. The stated wattage rating applies only when the entire resistance is in the circuit. Setting the lug at an intermediate point reduces the wattage rating by approximately the same proportion. Example: If the lug is set at half resistance, the wattage is reduced by approximately one-half. If you need current constant type or special specifications, please feel free to cntact us. Remarks 1. Resistance and resistance tolerance were tested in-house with micro resistance meter. 2. Coating refers to UL-certified data provided by supplier. Indicates resistance value in units of ohms.